A radiant novel that gets the rhythms and cadences of small-town life exactly right. An unforgettable story of a time when the world lost its innocence--and of a town that finds its redemption in an extraordinary love. Salty Creek is a sleepy Georgia town where everyone knows everyone else's business, along with their place in the hierarchy of color, class, and family history. Strangers rarely enter their midst, and a mysterious arrival in the spring of 1939 soon sets tongues wagging. A quiet, unassuming man with a secret history of his own, Mr. Oto is taken in as a gardener by Miss Anne, the town's conscience-and its heart with no illusions about Salty Creek, or its inhabitants. One of these is Sophie, who lost her love during World War I and has resigned herself to a passionless existence taking care of her mother and two maiden aunts. Then one day, she and Mr. Oto speak for the first time. To Mr. Oto, whose heart has been full from the moment he saw Sophie, it is one of life's miracles--when they finally break the silence of "the beauty of words unspoken." When the Japanese bomb Pearl Harbor and Mr. Oto's newfound life comes under siege, it is Miss Anne who once again comes to his rescue in an act of uncommon courage and sacrifice. As for Sophie, who has fallen in love with Mr. Oto, she must decide how much she is willing to risk for a future with this man who has brought such joy into her life. A radiant novel that gets the rhythms and cadences of small-town life exactly right, Sophie and the Rising Sun tells an unforgettable story of a time when the world lost its innocence-and of a town that finds its redemption in an extraordinary love. It is a major achievement from a novelist of rare grace and power. Some folks in this town still think I know what really happened to Sophieleastwise those folks old enough to remember Pearl Harbor and the terrible days that followed. Why, to this very dayover twenty years lateronce in a while, somebody will say to me, "Miss Anne, you can tell me what really happened to Sophie, now that it's been so long." But I can't tell them. Because I was never sure. And I guess the reason they ask in the first place is that most of us still care about Sophie and want to know that she's all right. Sophie does not seem to have much of a life in Salty Creek beyond her reading group and her painting. What keeps her in this town? One of Sophie's few childhood friends was Sally, a friendship Sophie's mother put to an end when she discovered it. Given that Sophie grew up in an environment that fostered prejudice and segregation, how is it that she is able to see beyond the close-mindedness she had been taught? Is Miss Ruth or Miss Anne more emblematic of the town of Salty Creek? Why? Is it a feeling of patriotism, a feeling of friendship, or some combination of both that causes Miss Anne to hide Mr. Oto? Trobaugh...tells this poignant story with beautiful, yet appropriately subdued, prose, befitting its simplicity. It's a gem that lovers of Southern literature will relish. Augusta Trobaugh has done it again written a sweet, savage story about the South.... Thank you, Augusta Trobaugh, for proving that love, passion, redemption and compassion continue to flourish in Southern literature. 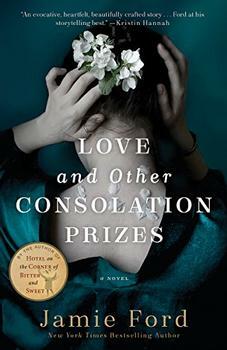 Set in a quiet Georgia coastal town...this sweet, old fashioned story is about the loving friendship that grows between a simple Japanese-American gardener and [an] unmarried Southern lady who lives down the street.... With a gentle hand and glass-clear prose, Trobaugh explores the villagers' foibles, racism and tension after the Japanese bomb Pearl Harbor. Her memorable characters make this novel a fast and pleasurable read. LOVELY. Trobaugh...streamlines her rich Southern style and creates a narrative as delicate as a line drawing. Augusta Trobaugh is an excellent storyteller who creates a narrator who feels as comfortable as our favorite easy chair. However, as easy as the story seems, we suddenly realize that we are in the midst of a powerful story. Part Remains of the Day, part wartime drama.... Trobaugh...once again suggests the small but heartwarming triumphs made possible by human dignity and courage. Haunting.... Trobaugh fans have come to expect a thought-provoking read from her, and once again she meets the mark. Readers unfamiliar with the author will certainly experience the thrill of discovery, for Trobaugh's story of love lost and found in a small Georgia town sparkles with wonderful moments and expertly created characters. Poetic.... A beautiful and unusual love story. A new voice from and for the South, as complex and resonant as the region itself. 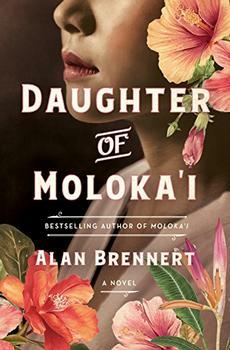 From the bestselling author of Hotel on the Corner of Bitter and Sweet comes a powerful novel, inspired by a true story, about a boy whose life is transformed at Seattle's epic 1909 World's Fair.